While SMEs have demonstrated the true spirit of Indian entrepreneurship in the past, the lack of marketing support has started to hurt the sector as a whole. With global companies now venturing into India to take advantage of the huge Indian domestic market and get their share of growth revenues from the Indian market, Indians are facing the heat since they are unable to match the marketing campaigns of their global peers and rivals. Here is a look at five major marketing challenges being faced by Indian SMEs across the spectrum and how things can be changed for the better in the near future. Companies are expanding their horizons today and branding has become an absolute necessity. A right blend of promotional mix is essential for brands. It is a dream of every entrepreneur to make his products or services popular. He does all possible efforts to make it a brand. But we all know that the developing a brand from scratch is lengthy process. 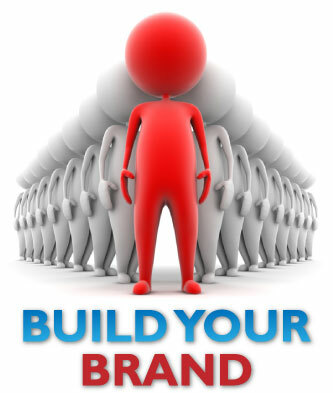 It is also a costly affair if someone takes a conventional approach in building a brand. It takes years to derive to a brand to reach out to the mass consumers. A successful brand is the result of effective marketing, advertising, superior product quality and offering the best value proposition. This is perhaps a limitation point for an entrepreneur from the small business segment. A brand is the identity of a product, business or a service. In today's day and age, every company in the market is jostling to make a place for themselves. In this over-communicated market, it is only a brand which has etched itself in the mind of a consumer – ensures that it survives getting lost in the crowd and create a place for itself in the hearts and minds of the consumers. Marketing communication must be written in simple to read, understand and act. Depending on target audience words, meanings and length of communication can be worked out, of course, language of communication is very important. Talk with customers in a language which they will understand and hence remember, respond and react to buy. Stylish font, difficult words, color of words, back ground color must be in tune and taste with targeted customers else, who will read your communication? So, please, K I S S.
Modern day marketing incorporates Information, Interactive, and Integration components while forming a strategy. No more marketing decisions can be taken from gut feeling, but data / information is critical while arriving to knowledge driven marketing – about customers, market, competitors and more. Whether print, electronic, digital media, one and more must be perfectly integrated for transition from one to another to seek more information, to respond, for texts to pictures media integration is essential. Not only that, all strategy for marketing must keep in mind interactive feature i.e. having a dialogue with the customers and potential buyers. It cannot be unidirectional i.e. monologue as it was before 10-15 years back. Theory of AIDS – Attention, Interest, Desire, Action must be executed in order using 3 Is of Marketing. If done rightly, results will have multiplying effect. Smart way of marketing is think like a customer – his behavior in daily life – what he does, where he goes, when, how often, what time he spends, what is the prime objective of his visit and much more. Gone are the days that you assume the first thing your customer will do in the morning is to read the news paper – may be true, but how far he has time at that time to read and understand your products and benefits, remember price and place where it will be available, unless you have sole objective of brand recall and increase brand equity. Instead, find vehicles that carry your message – bus, rickshaw, local train and tram, taxi or place – restaurants, club, gym, super market, time – when hungry, thirsty, relaxed, rejuvenated, roaming, people – with colleagues, family, friends … So, Go where your customers go and promote your business – the important word is “your customer” and not any customer. One who has mastered the art of marketing, PR, strategic planning, knowledge about market and customers, will always keep on making new announcements, but to understand their move, you must not just keep your ears open but also the eyes open – very wide, always. As SME it is very important that all your marketing originate from new ideas, practical execution and constant eye on return on investment in marketing. You need to follow marketing prescriptions and many more revelations from ground level evolving from fundamentals of marketing and application of strategy, but, you have constraints of money unlike your big brothers in corporate world. Spend and invest on professionals who not only saves your money on marketing but also suggest effective and economical means, methods, tools and techniques with simple tips, mantras and prescriptions. Competition is inevitable in today’s business – be it from local, regional, zonal, national or international competitors, one has no choice but to fight. To fight local competition, you can use Guerilla Marketing Strategy and Global marketing strategy for Global business, but unlike lessons taught at management schools i.e.” find your strength, find your weakness (SWOT)”, the marketing guru suggests to find the “weakness in the strength” of competitors, and attack. You are small, no problem, and find weakness focus on it. You offer products and services that overcome that weakness. Since you are small you can decide fast, take quick execution steps, and attack market in short time. Large companies are like elephant, take a long time. If you feel you are dominated by a single competitor than the above lesson works well. By not ignoring competition, you are always on toes to improve product, pricing, promotion besides management techniques.